Jeremy Theobald är en skådespelare och producent. Född i United Kingdom. 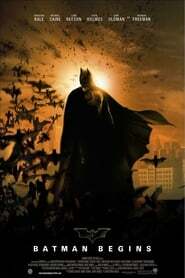 Han är känd för bland annat Batman begins (2005), Batman begins (2005), Following (1998) och Doodlebug (1997). Vad du tycker om Jeremy Theobald? Starta en diskussion om Jeremy Theobald med dina vänner på Facebook eller Twitter! Jeremy Theobald is a British actor best known for his portrayal of "The Young Man", the main character in Christopher Nolan's 1998 major picture debut, Following. The film, for which Theobald was also a producer, was filmed around their day jobs. Jonathan Romney, writing in the New Statesman, noted that "Nolan and his cast are terrific finds: I wouldn't normally say this to struggling artists, but they might want to give up their day jobs." Theobald also appeared in Larceny, a short film shot by Nolan while in the UCLU Film Society, and Doodlebug, another short film by Nolan. Theobald also had a small role as the "Younger Gotham Water Board Technician" in the Nolan feature Batman Begins. As with many British actors, he has also had a part in an episode of ITV's The Bill. Theobald has a degree in Physiology from UCL, and was a Managing Editor of the Journal of Pathology with the publisher Wiley. He is now Executive Editor of the Forum for Global Health Protection, a not-for-profit company sponsored by the Health Protection Agency.